Like most of you, a few times a week I reach into a drawer and root around for the day's riding gear. I'll come across new shorts which kinda-sorta fit, or a jersey inevitably more ideal for the day's conditions than the one I'll end up wearing, yet one eye is always peeled for a 7-year-old pair of Giro gloves. The DNDs (Down and Dirty) have a minimalist design, yet have held up through countless rides, wash cycles, slide outs, and whatever other bike-related situation could be thrown their way. 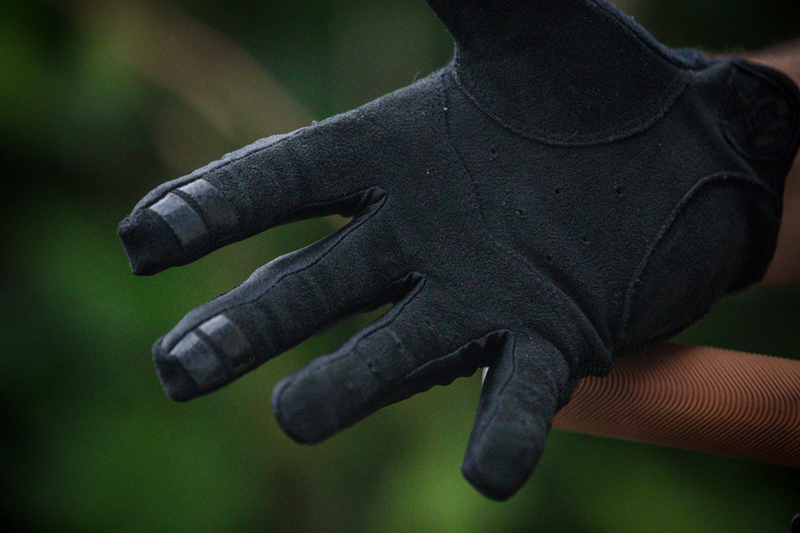 With a name like DND, these gloves are likely suitable for tossing your favorite 20-sided die to fend off Sylvan (the most reclusive of all the elves, and the only elven subrace native to Toril, obviously), but I've found they also work for mountain biking. There’s no need to scour the internet for a 7-year-old pair of gloves, though–it turns out Giro offers a new, refined version of the DNDs. But, as sour old men like to say, “They just don’t make ’em like they used to.” Would this pessimistic aphorism ring true, or would the latest rendition measure up to my all-time favorite riding mitts? Seven years old and still going strong. A recent snag on a tree trunk caused the only blemish to speak of on my original pair of these go-to gloves. At $25, Giro intended the DNDs to be affordable, yet durable. Minimalist gloves are popular, and the DNDs have a nice combination of a thin, three-panel palm material (which Giro calls SuperFit), reinforcing high-pressure areas while remaining very supple. The palm is made of a synthetic leather called Ax Suede. The upper/backside of the hand is equally svelte, and features lightweight, four-way stretch material and flex zones at the knuckles. 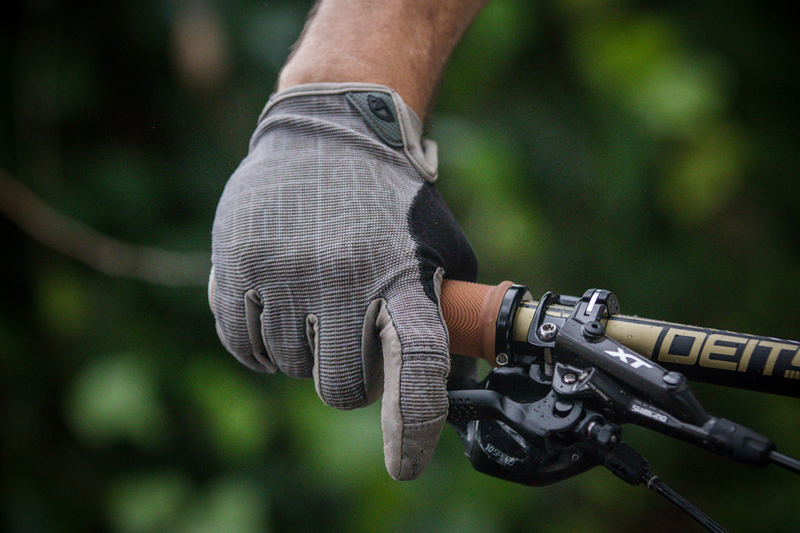 The combination of a subtly reinforced palm and very flexible material on the back of the hand create a simplistic, yet reliable and comfortable feel at the handlebar. A 2-mil-thick pad helps protect the heel of the hand during a ground impact or while repeatedly banging against metal, lock-on grip clamps. As found on many gloves, the soft, absorbent cloth material on the thumb is helpful for wiping away sweat or snot rocket residue. Unlike my original pair of DNDs, the new version boasts silicone fingertips for improved brake lever and shifter control. They're claimed to have touchscreen compatibility, but I’ve had spotty results with this feature. Although reinforced in places, the DND's palm material remains very supple for excellent feel at the handlebar, and silicone grippers keep your digits from slipping off the brake levers. There are many innovative riding gloves in the sport, yet in my opinion the best ones still go unnoticed on the bike. Despite their minimalistic appearance, Giro's DNDs once again deliver affordability, durability and most importantly an unnoticeable feel at the handlebar. With little to no bunching of the palm material, plenty of back-of-hand flexibility for reduced fatigue, and subtle reinforcement in key areas, the DNDs roll strong ride after ride. If more hand protection is what you're after, the DNDs might not be the way to go, but those preferring minimalist style balanced with excellent durability need look no further than the DNDs. To paraphrase a favorite summer-camp-oriented film, Wet Hot American Summer; "Any dungeon master worth his weight in geldings goes nowhere without his DND gloves."